Happy summer, everyone! Summer to us is a precious commodity. Its hallmarks are trips to the cabin, gardening, walking in the wilderness, and simply sitting on a porch enjoying the view. 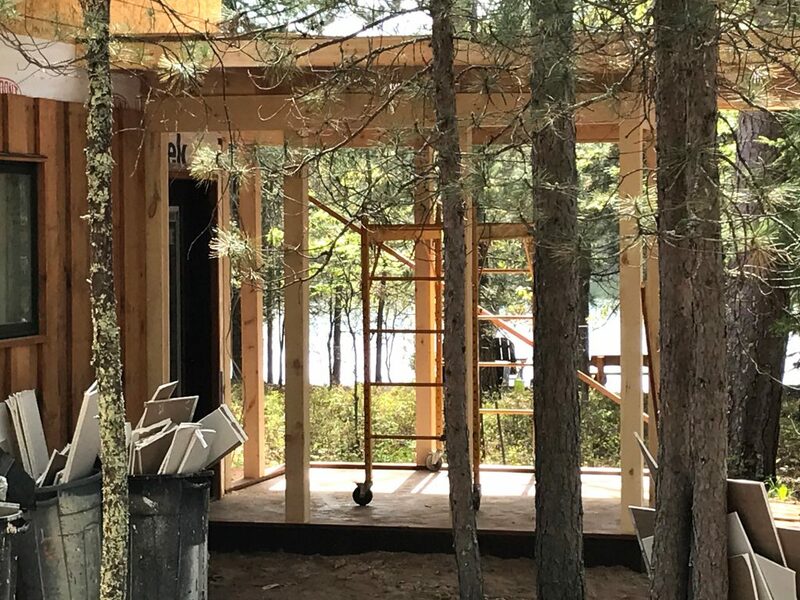 Take a peek at a perfect summer project–a porch addition we are currently working on at a cabin nestled on the shores of a lovely little lake in northern Wisconsin. A lovely porch addition to a charming cabin in northern Wisconsin offers a beautiful view of the lake. 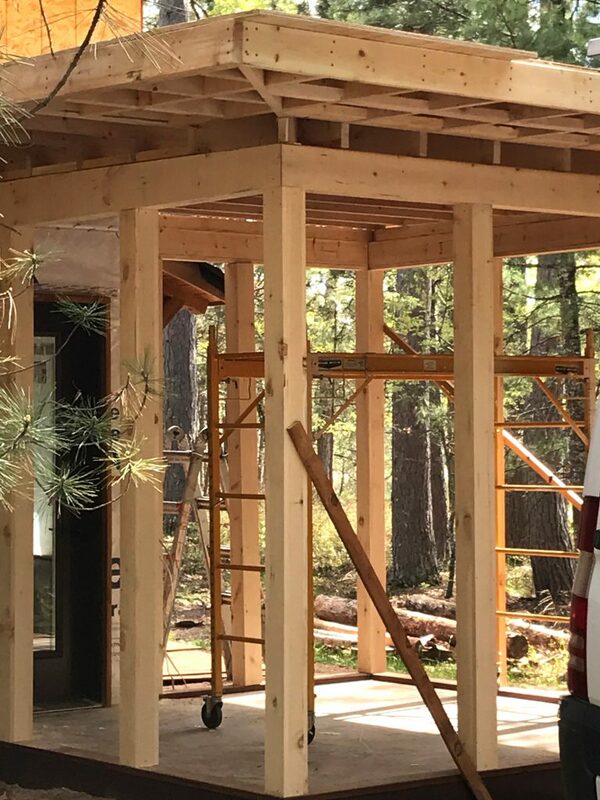 Our own Andy Hoffman, the original 3-D Printer, prefabricated the porch in our shop. Andy perfectly crafted each piece to fit together like Lego pieces. He loaded the parts and brought them to the cabin site, where we assembled them. Here’s another view of the precision prefabbed pieces as they are raised on-site. You can check out previous summer prefabbed projects here and here. Warm summer breezes, whispering pines, the gentle lapping of the lake waters… ahhhh. Stay tuned and we will meet you on the porch!